The Elite Collection Furniture Store with a wide range of Home Furnishing Products. We feature ready to assemble and custom made items. Kyoto Elite Collection Set is available in the ensembles pack, deluxe pack, super pack, and the super premium pack. The ensembles pack includes comforter, bedskirt and shams. The deluxe pack includes comforter, bedskirt, shams and tri pillow pack. The super pack includes comforter, bedskirt, shams, tri pillow pack and the euro pillows. The super premium pack includes comforter, bedskirt, shams, tri pillow pack, euro pillows and mexicale 200 sheet set.Note: Queen has 2 shams/King has 3 shams. Queen has 2 euros/King has 3 euros. Larisa Elite Collection Set is available in the ensembles pack, deluxe pack, super pack, and the super premium pack. The ensembles pack includes comforter, bedskirt and shams. The deluxe pack includes comforter, bedskirt, shams and tri pillow pack. The super pack includes comforter, bedskirt, shams, tri pillow pack and the euro pillows. The super premium pack includes comforter, bedskirt, shams, tri pillow pack, euro pillows and mexicale 200 sheet set.Note: Queen has 2 shams/King has 3 shams. Queen has 2 euros/King has 3 euros. Lattice Elite Collection Set is available in the ensembles pack, deluxe pack, super pack, and the super premium pack. The ensembles pack includes comforter, bedskirt and shams. The deluxe pack includes comforter, bedskirt, shams and tri pillow pack. The super pack includes comforter, bedskirt, shams, tri pillow pack and the euro pillows. The super premium pack includes comforter, bedskirt, shams, tri pillow pack, euro pillows and mexicale 200 sheet set.Note: Queen has 2 shams/King has 3 shams. Queen has 2 euros/King has 3 euros. Legacy Elite Collection Set is available in the ensembles pack, deluxe pack, super pack, and the super premium pack. The ensembles pack includes comforter, bedskirt and shams. The deluxe pack includes comforter, bedskirt, shams and tri pillow pack. The super pack includes comforter, bedskirt, shams, tri pillow pack and the euro pillows. The super premium pack includes comforter, bedskirt, shams, tri pillow pack, euro pillows and mexicale 200 sheet set.Note: Queen has 2 shams/King has 3 shams. Queen has 2 euros/King has 3 euros. Lexington Elite Collection Set is available in the ensembles pack, deluxe pack, super pack, and the super premium pack. The ensembles pack includes comforter, bedskirt and shams. The deluxe pack includes comforter, bedskirt, shams and tri pillow pack. The super pack includes comforter, bedskirt, shams, tri pillow pack and the euro pillows. The super premium pack includes comforter, bedskirt, shams, tri pillow pack, euro pillows and mexicale 200 sheet set.Note: Queen has 2 shams/King has 3 shams. Queen has 2 euros/King has 3 euros. Mabry Elite Collection Set is available in the ensembles pack, deluxe pack, super pack, and the super premium pack. The ensembles pack includes comforter, bedskirt and shams. The deluxe pack includes comforter, bedskirt, shams and tri pillow pack. The super pack includes comforter, bedskirt, shams, tri pillow pack and the euro pillows. The super premium pack includes comforter, bedskirt, shams, tri pillow pack, euro pillows and mexicale 200 sheet set.Note: Queen has 2 shams/King has 3 shams. Queen has 2 euros/King has 3 euros. Manchester Elite Collection Set is available in the ensembles pack, deluxe pack, super pack, and the super premium pack. The ensembles pack includes comforter, bedskirt and shams. The deluxe pack includes comforter, bedskirt, shams and tri pillow pack. The super pack includes comforter, bedskirt, shams, tri pillow pack and the euro pillows. The super premium pack includes comforter, bedskirt, shams, tri pillow pack, euro pillows and mexicale 200 sheet set.Note: Queen has 2 shams/King has 3 shams. Queen has 2 euros/King has 3 euros. Matteo Elite Collection Set is available in the ensembles pack, deluxe pack, super pack, and the super premium pack. The ensembles pack includes comforter, bedskirt and shams. The deluxe pack includes comforter, bedskirt, shams and tri pillow pack. The super pack includes comforter, bedskirt, shams, tri pillow pack and the euro pillows. The super premium pack includes comforter, bedskirt, shams, tri pillow pack, euro pillows and mexicale 200 sheet set.Note: Queen has 2 shams/King has 3 shams. Queen has 2 euros/King has 3 euros. Moon Valley Elite Collection Set is available in the ensembles pack, deluxe pack, super pack, and the super premium pack. The ensembles pack includes comforter, bedskirt and shams. The deluxe pack includes comforter, bedskirt, shams and tri pillow pack. The super pack includes comforter, bedskirt, shams, tri pillow pack and the euro pillows. The super premium pack includes comforter, bedskirt, shams, tri pillow pack, euro pillows and mexicale 200 sheet set.Note: Queen has 2 shams/King has 3 shams. Queen has 2 euros/King has 3 euros. Nepal Elite Collection Set is available in the ensembles pack, deluxe pack, super pack, and the super premium pack. The ensembles pack includes comforter, bedskirt and shams. The deluxe pack includes comforter, bedskirt, shams and tri pillow pack. The super pack includes comforter, bedskirt, shams, tri pillow pack and the euro pillows. The super premium pack includes comforter, bedskirt, shams, tri pillow pack, euro pillows and mexicale 200 sheet set.Note: Queen has 2 shams/King has 3 shams. Queen has 2 euros/King has 3 euros. Optik Elite Collection Set is available in the ensembles pack, deluxe pack, super pack, and the super premium pack. The ensembles pack includes comforter, bedskirt and shams. The deluxe pack includes comforter, bedskirt, shams and tri pillow pack. The super pack includes comforter, bedskirt, shams, tri pillow pack and the euro pillows. The super premium pack includes comforter, bedskirt, shams, tri pillow pack, euro pillows and mexicale 200 sheet set.Note: Queen has 2 shams/King has 3 shams. Queen has 2 euros/King has 3 euros. Oxford Elite Collection Set is available in the ensembles pack, deluxe pack, super pack, and the super premium pack. The ensembles pack includes comforter, bedskirt and shams. The deluxe pack includes comforter, bedskirt, shams and tri pillow pack. The super pack includes comforter, bedskirt, shams, tri pillow pack and the euro pillows. The super premium pack includes comforter, bedskirt, shams, tri pillow pack, euro pillows and mexicale 200 sheet set.Note: Queen has 2 shams/King has 3 shams. Queen has 2 euros/King has 3 euros. Paddock Elite Collection Set is available in the ensembles pack, deluxe pack, super pack, and the super premium pack. The ensembles pack includes comforter, bedskirt and shams. The deluxe pack includes comforter, bedskirt, shams and tri pillow pack. The super pack includes comforter, bedskirt, shams, tri pillow pack and the euro pillows. The super premium pack includes comforter, bedskirt, shams, tri pillow pack, euro pillows and mexicale 200 sheet set.Note: Queen has 2 shams/King has 3 shams. Queen has 2 euros/King has 3 euros. Partridge Elite Collection Set is available in the ensembles pack, deluxe pack, super pack, and the super premium pack. The ensembles pack includes comforter, bedskirt and shams. The deluxe pack includes comforter, bedskirt, shams and tri pillow pack. The super pack includes comforter, bedskirt, shams, tri pillow pack and the euro pillows. The super premium pack includes comforter, bedskirt, shams, tri pillow pack, euro pillows and mexicale 200 sheet set.Note: Queen has 2 shams/King has 3 shams. Queen has 2 euros/King has 3 euros. Pasha Elite Collection Set is available in the ensembles pack, deluxe pack, super pack, and the super premium pack. The ensembles pack includes comforter, bedskirt and shams. The deluxe pack includes comforter, bedskirt, shams and tri pillow pack. The super pack includes comforter, bedskirt, shams, tri pillow pack and the euro pillows. The super premium pack includes comforter, bedskirt, shams, tri pillow pack, euro pillows and mexicale 200 sheet set.Note: Queen has 2 shams/King has 3 shams. Queen has 2 euros/King has 3 euros. Pembrooke Elite Collection Set is available in the ensembles pack, deluxe pack, super pack, and the super premium pack. The ensembles pack includes comforter, bedskirt and shams. The deluxe pack includes comforter, bedskirt, shams and tri pillow pack. The super pack includes comforter, bedskirt, shams, tri pillow pack and the euro pillows. The super premium pack includes comforter, bedskirt, shams, tri pillow pack, euro pillows and mexicale 200 sheet set.Note: Queen has 2 shams/King has 3 shams. Queen has 2 euros/King has 3 euros. Pine Run Elite Collection Set is available in the ensembles pack, deluxe pack, super pack, and the super premium pack. The ensembles pack includes comforter, bedskirt and shams. The deluxe pack includes comforter, bedskirt, shams and tri pillow pack. The super pack includes comforter, bedskirt, shams, tri pillow pack and the euro pillows. The super premium pack includes comforter, bedskirt, shams, tri pillow pack, euro pillows and mexicale 200 sheet set. Prescott Elite Collection Set is available in the ensembles pack, deluxe pack, super pack, and the super premium pack. The ensembles pack includes comforter, bedskirt and shams. The deluxe pack includes comforter, bedskirt, shams and tri pillow pack. The super pack includes comforter, bedskirt, shams, tri pillow pack and the euro pillows. The super premium pack includes comforter, bedskirt, shams, tri pillow pack, euro pillows and mexicale 200 sheet set.Note: Queen has 2 shams/King has 3 shams. Queen has 2 euros/King has 3 euros. Retro Ve Elite Collection Set is available in the ensembles pack, deluxe pack, super pack, and the super premium pack. The ensembles pack includes comforter, bedskirt and shams. The deluxe pack includes comforter, bedskirt, shams and tri pillow pack. The super pack includes comforter, bedskirt, shams, tri pillow pack and the euro pillows. The super premium pack includes comforter, bedskirt, shams, tri pillow pack, euro pillows and mexicale 200 sheet set. Note: Queen has 2 shams/King has 3 shams. Queen has 2 euros/King has 3 euros. Ridge Way Elite Collection Set is available in the ensembles pack, deluxe pack, super pack, and the super premium pack. The ensembles pack includes comforter, bedskirt and shams. The deluxe pack includes comforter, bedskirt, shams and tri pillow pack. The super pack includes comforter, bedskirt, shams, tri pillow pack and the euro pillows. The super premium pack includes comforter, bedskirt, shams, tri pillow pack, euro pillows and mexicale 200 sheet set.Note: Queen has 2 shams/King has 3 shams. Queen has 2 euros/King has 3 euros. River Valley Elite Collection Set is available in the ensembles pack, deluxe pack, super pack, and the super premium pack. The ensembles pack includes comforter, bedskirt and shams. The deluxe pack includes comforter, bedskirt, shams and tri pillow pack. The super pack includes comforter, bedskirt, shams, tri pillow pack and the euro pillows. The super premium pack includes comforter, bedskirt, shams, tri pillow pack, euro pillows and mexicale 200 sheet set.Note: Queen has 2 shams/King has 3 shams. Queen has 2 euros/King has 3 euros. Rocky Top Elite Collection Set is available in the ensembles pack, deluxe pack, super pack, and the super premium pack. The ensembles pack includes comforter, bedskirt and shams. The deluxe pack includes comforter, bedskirt, shams and tri pillow pack. The super pack includes comforter, bedskirt, shams, tri pillow pack and the euro pillows. The super premium pack includes comforter, bedskirt, shams, tri pillow pack, euro pillows and mexicale 200 sheet set.Note: Queen has 2 shams/King has 3 shams. Queen has 2 euros/King has 3 euros. Allentown Elite Collection Set is available in the ensembles pack, deluxe pack, super pack, and the super premium pack. The ensembles pack includes comforter, bedskirt and shams. The deluxe pack includes comforter, bedskirt, shams and tri pillow pack. The super pack includes comforter, bedskirt, shams, tri pillow pack and the euro pillows. The super premium pack includes comforter, bedskirt, shams, tri pillow pack, euro pillows and mexicale 200 sheet set. Note: Queen has 2 shams/King has 3 shams. Queen has 2 euros/King has 3 euros. Avalon Elite Collection Set is available in the ensembles pack, deluxe pack, super pack, and the super premium pack. The ensembles pack includes comforter, bedskirt and shams. The deluxe pack includes comforter, bedskirt, shams and tri pillow pack. The super pack includes comforter, bedskirt, shams, tri pillow pack and the euro pillows. The super premium pack includes comforter, bedskirt, shams, tri pillow pack, euro pillows and mexicale 200 sheet set. Bali Isle Elite Collection Set is available in the ensembles pack, deluxe pack, super pack, and the super premium pack. The ensembles pack includes comforter, bedskirt and shams. The deluxe pack includes comforter, bedskirt, shams and tri pillow pack. The super pack includes comforter, bedskirt, shams, tri pillow pack and the euro pillows. The super premium pack includes comforter, bedskirt, shams, tri pillow pack, euro pillows and mexicale 200 sheet set. Note: Queen has 2 shams/King has 3 shams. Queen has 2 euros/King has 3 euros. Rover Elite Collection Set is available in the ensembles pack, deluxe pack, super pack, and the super premium pack. The ensembles pack includes comforter, bedskirt and shams. The deluxe pack includes comforter, bedskirt, shams and tri pillow pack. The super pack includes comforter, bedskirt, shams, tri pillow pack and the euro pillows. The super premium pack includes comforter, bedskirt, shams, tri pillow pack, euro pillows and mexicale 200 sheet set.Note: Queen has 2 shams/King has 3 shams. Queen has 2 euros/King has 3 euros. Bombay Elite Collection Set is available in the ensembles pack, deluxe pack, super pack, and the super premium pack. The ensembles pack includes comforter, bedskirt and shams. The deluxe pack includes comforter, bedskirt, shams and tri pillow pack. The super pack includes comforter, bedskirt, shams, tri pillow pack and the euro pillows. The super premium pack includes comforter, bedskirt, shams, tri pillow pack, euro pillows and mexicale 200 sheet set. Note: Queen has 2 shams/King has 3 shams. Queen has 2 euros/King has 3 euros. Braxton Elite Collection Set is available in the ensembles pack, deluxe pack, super pack, and the super premium pack. The ensembles pack includes comforter, bedskirt and shams. The deluxe pack includes comforter, bedskirt, shams and tri pillow pack. The super pack includes comforter, bedskirt, shams, tri pillow pack and the euro pillows. The super premium pack includes comforter, bedskirt, shams, tri pillow pack, euro pillows and mexicale 200 sheet set. Note: Queen has 2 shams/King has 3 shams. Queen has 2 euros/King has 3 euros. Brendan Elite Collection Set is available in the ensembles pack, deluxe pack, super pack, and the super premium pack. 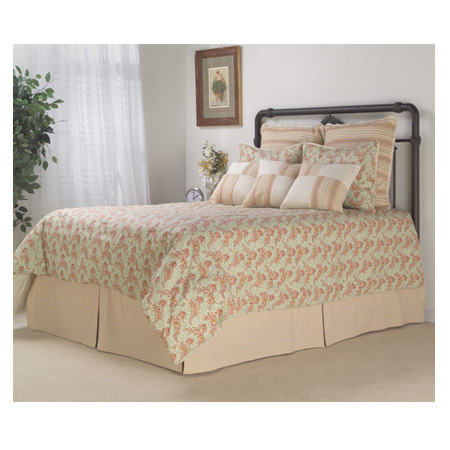 The ensembles pack includes comforter, bedskirt and shams. The deluxe pack includes comforter, bedskirt, shams and tri pillow pack. The super pack includes comforter, bedskirt, shams, tri pillow pack and the euro pillows. The super premium pack includes comforter, bedskirt, shams, tri pillow pack, euro pillows and mexicale 200 sheet set. Note: Queen has 2 shams/King has 3 shams. Queen has 2 euros/King has 3 euros. Serena Black Elite Collection Set is available in the ensembles pack, deluxe pack, super pack, and the super premium pack. The ensembles pack includes comforter, bedskirt and shams. The deluxe pack includes comforter, bedskirt, shams and tri pillow pack. The super pack includes comforter, bedskirt, shams, tri pillow pack and the euro pillows. The super premium pack includes comforter, bedskirt, shams, tri pillow pack, euro pillows and mexicale 200 sheet set.Note: Queen has 2 shams/King has 3 shams. Queen has 2 euros/King has 3 euros. Bridges Elite Collection Set is available in the ensembles pack, deluxe pack, super pack, and the super premium pack. The ensembles pack includes comforter, bedskirt and shams. The deluxe pack includes comforter, bedskirt, shams and tri pillow pack. The super pack includes comforter, bedskirt, shams, tri pillow pack and the euro pillows. The super premium pack includes comforter, bedskirt, shams, tri pillow pack, euro pillows and mexicale 200 sheet set. Note: Queen has 2 shams/King has 3 shams. Queen has 2 euros/King has 3 euros. Cabana Elite Collection Set is available in the ensembles pack, deluxe pack, super pack, and the super premium pack. The ensembles pack includes comforter, bedskirt and shams. The deluxe pack includes comforter, bedskirt, shams and tri pillow pack. The super pack includes comforter, bedskirt, shams, tri pillow pack and the euro pillows. The super premium pack includes comforter, bedskirt, shams, tri pillow pack, euro pillows and mexicale 200 sheet set. Note: Queen has 2 shams/King has 3 shams. Queen has 2 euros/King has 3 euros. Camel Back Elite Collection Set is available in the ensembles pack, deluxe pack, super pack, and the super premium pack. The ensembles pack includes comforter, bedskirt and shams. The deluxe pack includes comforter, bedskirt, shams and tri pillow pack. The super pack includes comforter, bedskirt, shams, tri pillow pack and the euro pillows. The super premium pack includes comforter, bedskirt, shams, tri pillow pack, euro pillows and mexicale 200 sheet set. Note: Queen has 2 shams/King has 3 shams. Queen has 2 euros/King has 3 euros. Sierra Elite Collection Set is available in the ensembles pack, deluxe pack, super pack, and the super premium pack. The ensembles pack includes comforter, bedskirt and shams. The deluxe pack includes comforter, bedskirt, shams and tri pillow pack. The super pack includes comforter, bedskirt, shams, tri pillow pack and the euro pillows. The super premium pack includes comforter, bedskirt, shams, tri pillow pack, euro pillows and mexicale 200 sheet set.Note: Queen has 2 shams/King has 3 shams. Queen has 2 euros/King has 3 euros. Simplicity Elite Collection Set is available in the ensembles pack, deluxe pack, super pack, and the super premium pack. The ensembles pack includes comforter, bedskirt and shams. The deluxe pack includes comforter, bedskirt, shams and tri pillow pack. The super pack includes comforter, bedskirt, shams, tri pillow pack and the euro pillows. The super premium pack includes comforter, bedskirt, shams, tri pillow pack, euro pillows and mexicale 200 sheet set.Note: Queen has 2 shams/King has 3 shams. Queen has 2 euros/King has 3 euros. Capri Elite Collection Set is available in the ensembles pack, deluxe pack, super pack, and the super premium pack. The ensembles pack includes comforter, bedskirt and shams. The deluxe pack includes comforter, bedskirt, shams and tri pillow pack. The super pack includes comforter, bedskirt, shams, tri pillow pack and the euro pillows. The super premium pack includes comforter, bedskirt, shams, tri pillow pack, euro pillows and mexicale 200 sheet set. Note: Queen has 2 shams/King has 3 shams. Queen has 2 euros/King has 3 euros. Catalina Elite Collection Set is available in the ensembles pack, deluxe pack, super pack, and the super premium pack. The ensembles pack includes comforter, bedskirt and shams. The deluxe pack includes comforter, bedskirt, shams and tri pillow pack. The super pack includes comforter, bedskirt, shams, tri pillow pack and the euro pillows. The super premium pack includes comforter, bedskirt, shams, tri pillow pack, euro pillows and mexicale 200 sheet set. Note: Queen has 2 shams/King has 3 shams. Queen has 2 euros/King has 3 euros. Chesterfield Elite Collection Set is available in the ensembles pack, deluxe pack, super pack, and the super premium pack. The ensembles pack includes comforter, bedskirt and shams. The deluxe pack includes comforter, bedskirt, shams and tri pillow pack. The super pack includes comforter, bedskirt, shams, tri pillow pack and the euro pillows. The super premium pack includes comforter, bedskirt, shams, tri pillow pack, euro pillows and mexicale 200 sheet set. Note: Queen has 2 shams/King has 3 shams. Queen has 2 euros/King has 3 euros. Stone Creek Elite Collection Set is available in the ensembles pack, deluxe pack, super pack, and the super premium pack. The ensembles pack includes comforter, bedskirt and shams. The deluxe pack includes comforter, bedskirt, shams and tri pillow pack. The super pack includes comforter, bedskirt, shams, tri pillow pack and the euro pillows. The super premium pack includes comforter, bedskirt, shams, tri pillow pack, euro pillows and mexicale 200 sheet set.Note: Queen has 2 shams/King has 3 shams. Queen has 2 euros/King has 3 euros.